There are some Extra photos of Delhi, or you can move on to our next page on the Forts & Palaces of Rajasthan. Be warned! All the main pages of our India holiday have Extra photos. If you check them all out, you will be looking at a lot of photos, well over 100. We had a tremendous holiday in April in Rajasthan, India. 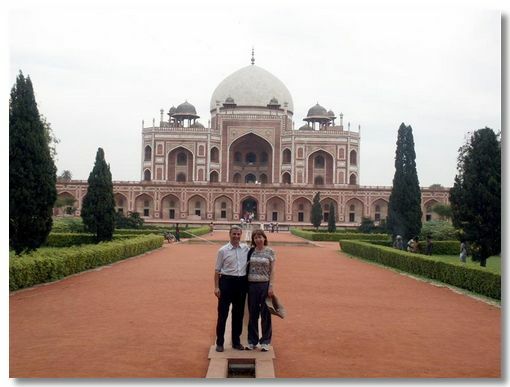 We started our holiday flying into Delhi & spending a couple of days there after which we took the overnight Sleeper Train to Udaipur. We then went to Rohet via Ranakpur. 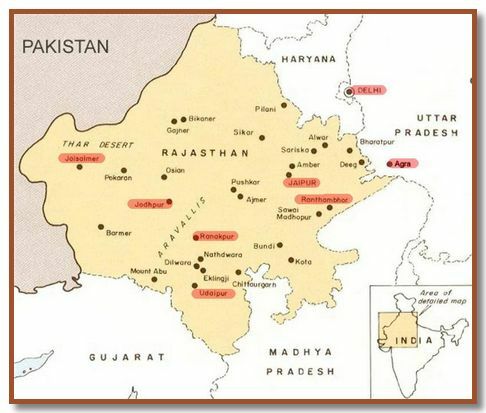 Next came a long journey to Jaisalmer in the Thar Desert. Then back to Jodhpur, before taking another train to the wildlife reserve in Ranthambhore. Next on the itinerary was Jaipur, the capital of Rajasthan. Then we visited Agra to see the Taj Mahal at sunset. Finally we returned to Delhi to fly back to England. We had a car and driver to ourselves throughout the holiday with a different local guide at each stop. Being driven in India is a totally different experience to Europe. You never really know what you are going to (almost) hit next. We organised our trip by dealing directly with an Indian Travel company, via the web & e-mails and booking the flights separately. This worked out perfectly for us - we got exactly what we wanted (with a lot of good advice from friends & the Travel company) and paid local (Indian) prices rather than (inflated) UK Travel Agent's prices. I am afraid we didn't really like Delhi (New or Old) very much. It is a massive teeming city. There is the height of luxury adjoining dreadful squalor. However some of the monuments & tourist sights were great to see. 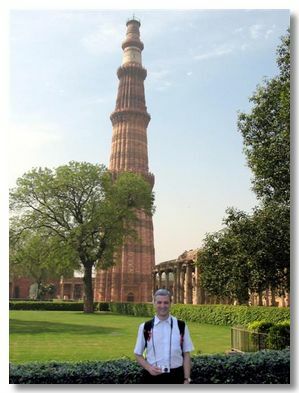 We started in Delhi visiting this 13th century Victory tower. At 230 ft, this is the highest such tower in India. 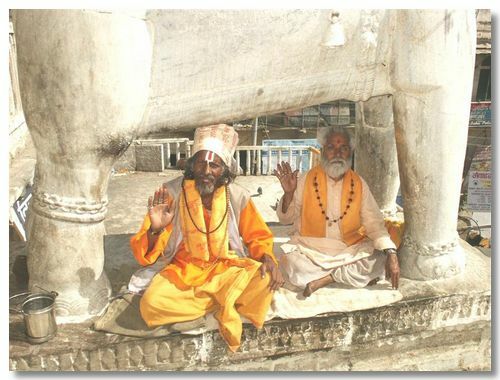 In the complex are ruins of the earliest Mosque in India built over an even earlier Hindu Temple. One of the most spectacular Mughal buildings in Delhi, precursor to the Taj Mahal in Agra. The imposing Lahore Gate of the Red Fort in Old Delhi. It was built by Shah Jahan (of Taj Mahal fame). 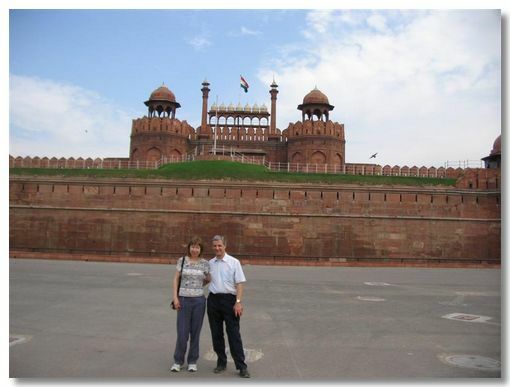 The Red Fort gets its name from the huge walls of red sandstone which are 2.5km long and 33m high. 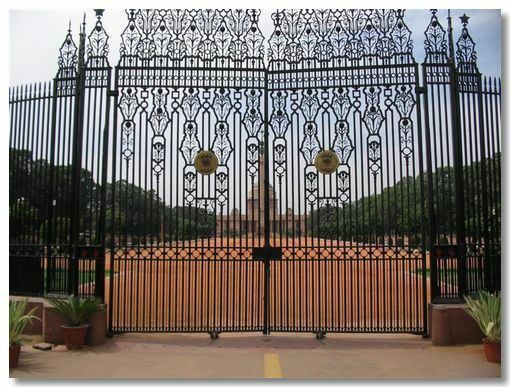 New Delhi was built in the British Imperial style early in the last century. Edwin Lutyens was the architect responsible for the design of a lot of these buildings and monuments. Here is the ex-Viceroy's Palace. Even these wrought iron gates were designed by Lutyens. 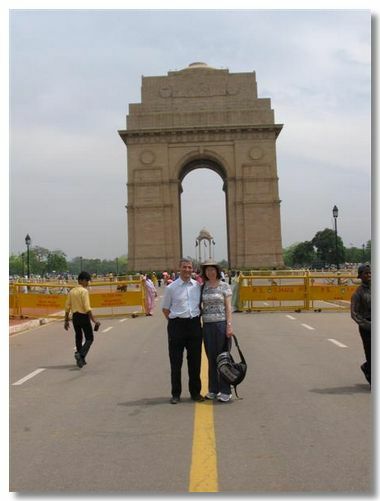 India Gate is an imposing structure, some 42 meters high. Built to commemorate the 90,000 Indian soldiers lost in WWI. A popular place for picnics, if you avoid the hawkers. Through India Gate you can just see another war memorial raised by Indira Gandhi after one of the Indo-Pakistan conflicts. 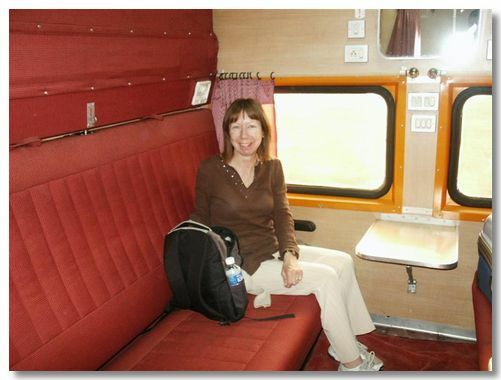 We were the only ones in this carriage for the overnight sleeper train - all the other carriages were packed out.